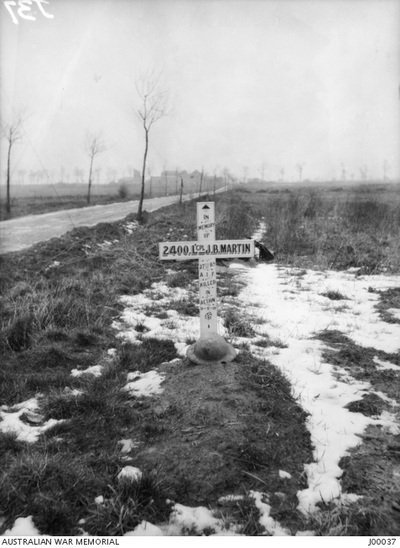 Heath Cemetery is situated on the south side of the straight main road (D1029) from Amiens to St Quentin, approximately 13 kilometres from Villers-Bretonneux. CWGC signposts will be seen directing visitors to the cemetery. 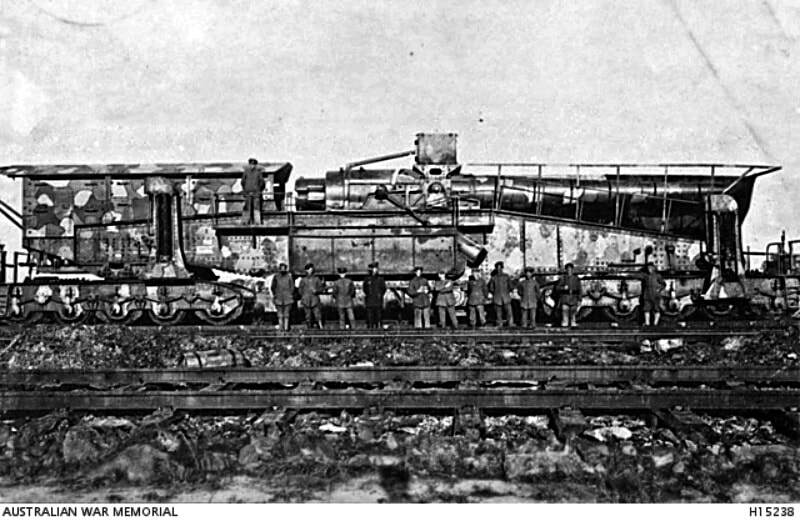 Harbonnieres was captured by French troops in the summer of 1916. 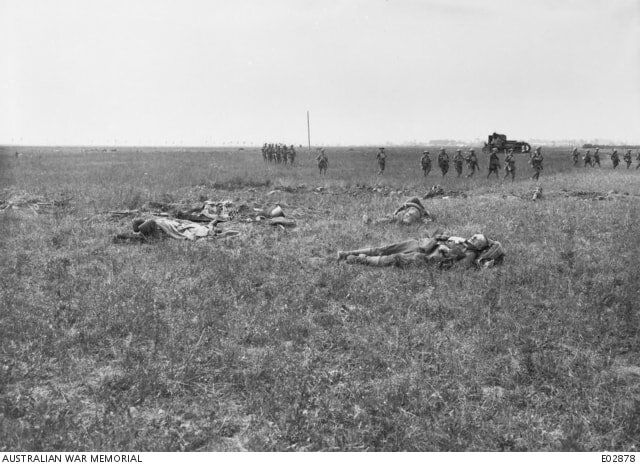 It was retaken by the Germans on 27 April 1918, and regained by the Australian Corps on 8 August 1918. BAYONVILLERS BRITISH CEMETERY, at the North end of the village, which contained the graves of 37 Australian soldiers, 11 from the United Kingdom, one from Canada, and one French Interpreter, all of whom fell in August, 1918; the FRENCH MILITARY CEMETERY, at the South end of the village, in which one soldier from the United Kingdom was buried in March 1917; and the GERMAN CEMETERY, near the Church, in which 14 Australian soldiers and 11 from the United Kingdom were buried by their comrades in August, 1918. CERISY-GAILLY COMMUNAL CEMETERY FRENCH EXTN., which contained 157 French and 108 German graves, and those of three soldiers from the United Kingdom who fell in July, 1916. 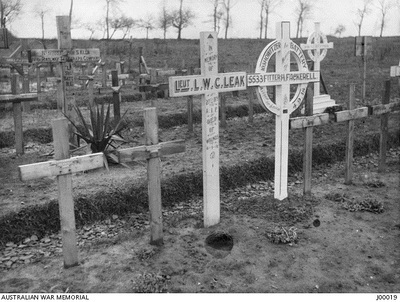 CLUMP TRENCH CEMETERY, ROSIERES-DE-PICARDIE, 300 metres East of the road to Vauvillers, which contained the graves of 20 Australian soldiers and three from the United Kingdom who fell in August, 1918. 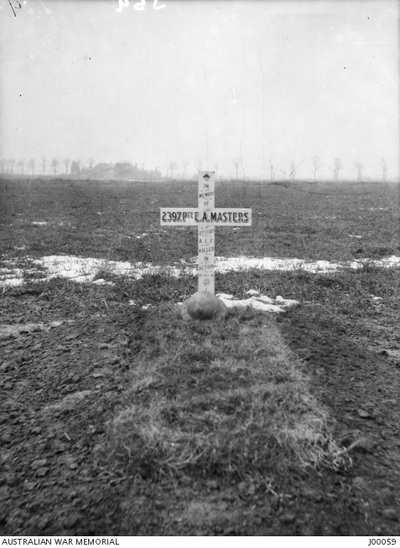 COPSE CORNER CEMETERY, VAUVILLERS, by a copse 900 metres North of Clump Trench Cemetery, which contained the graves of 22 men of the 7th Australian Battalion who fell on the 9th August 1918, and one soldier from the United Kingdom. DAVENESCOURT CHURCHYARD, in which five unidentified soldiers from the United Kingdom were buried. ETINEHEM (or COTE 77) FRENCH MILITARY CEMETERY, near the crossing of the roads from Etinehem to Meaulte and from Bray to Corbie. Here were buried 290 French soldiers, now reburied in Cote 80 French National Cemetery, and 16 from the United Kingdom and one from Australia. FRAMERVILLE BRITISH CEMETERY (or QUARRY CEMETERY), near the track leading to Herleville, which contained the graves of 23 soldiers from the United Kingdom and three from Australia who fell in August, 1918; and the FRENCH MILITARY CEMETERY, on the road to Proyart, which contained the graves of two soldiers from the United Kingdom who fell in 1917. 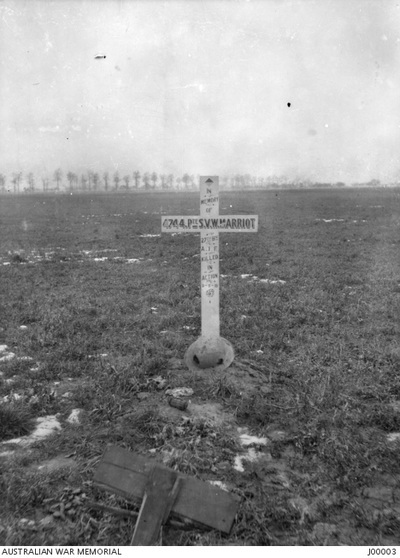 HARBONNIERES COMMUNAL CEMETERY EXTN., in which 44 soldiers from the United Kingdom and 19 from Australia were buried by their comrades in August 1918. 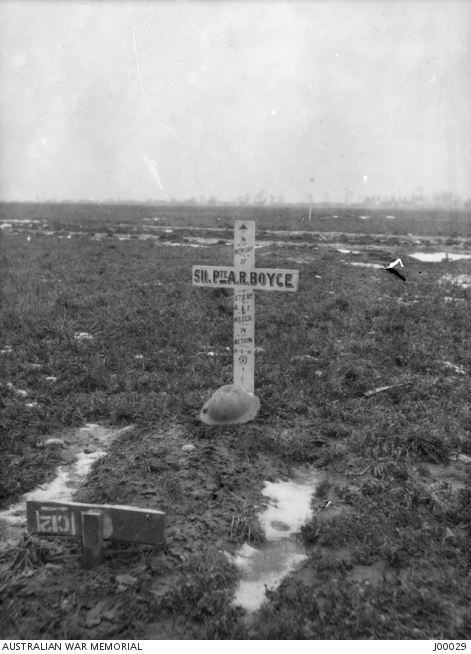 LONE FARM (or LONE HOUSE) CEMETERY, HARBONNIERES, about 900 metres East of Heath Cemetery. Here were buried 35 soldiers from Australia and nine from the United Kingdom, most of whom fell in August 1918. LOUVRECHY FRENCH MILITARY CEMETERY, at the West end of Louvrechy village, which contained the graves of two R.A.F. officers who fell in July 1918. 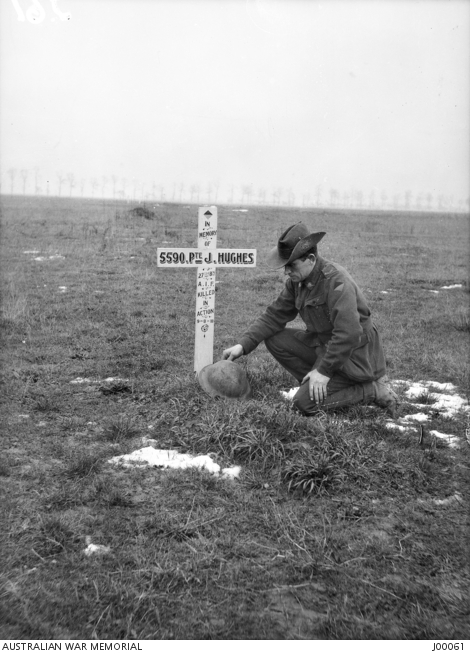 MEMORIAL CEMETERY, VAUVILLERS, a little South-East of the crossing of the Vauvillers-Rosieres and Harbonnieres-Lihons roads, which contained graves of 19 soldiers of the 9th Australian Battalion who fell in August 1918 . MERICOURT-SUR-SOMME COMMUNAL CEMETERY, in which one R.F.C. 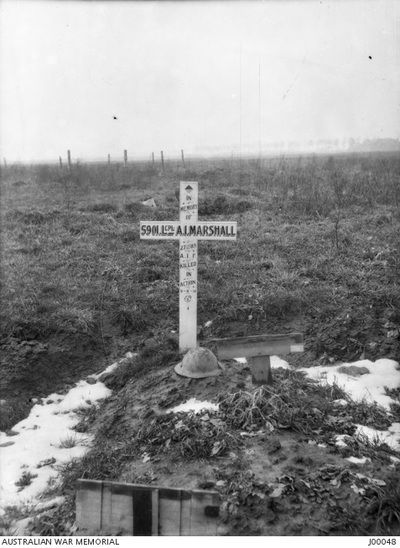 officer was buried in September 1916. MERIGNOLLES BRITISH CEMETERY, PROYART, half-way between Proyart and Chuignolles, which contained the graves of 21 Australian soldiers who fell the 23rd August 1918. 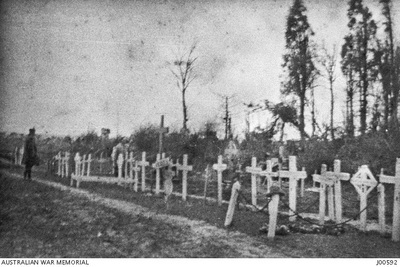 MORCOURT COMMUNAL CEMETERY, in which three soldiers from United Kingdom were buried by the Germans; the EXTENSION, in which Australian soldiers and eight from the United Kingdom were buried by their comrades in August 1918; and the GERMAN CEMETERY "by the Church", which the Germans buried two men of the Rifle Brigade in April 1918. PROYART COMMUNAL CEMETERY EXTENSION, made by the Germans in April-June, 1918, and used by the British in August and September, 1918, for the burial of 64 soldiers and airmen from the United Kingdom and 3 Australian soldiers. RIDGEWAY CEMETERY, LIHONS, on the road from Lihons to Rosieres, which contained the graves of 23 Australian soldiers who fell in August 1918. 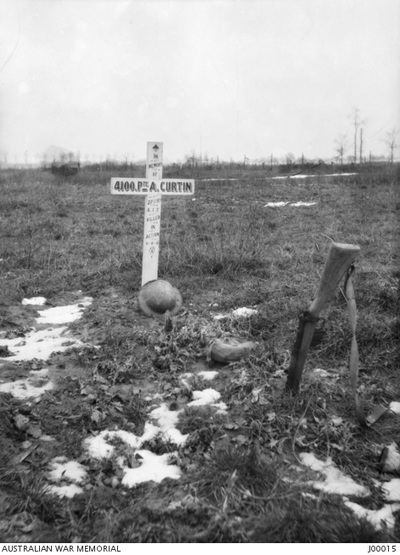 SAILLY-LAURETTE MILITARY CEMETERY, 800 metres due North of Sailly-Laurette village. Here were buried 38 soldiers from the United Kingdom mainly of the 58th (London) Division and two from Australia, who fell in August 1918. 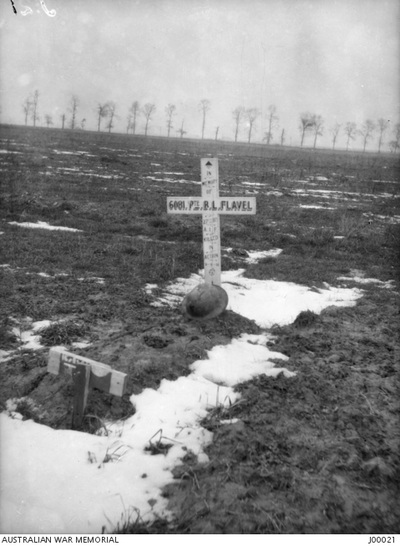 VERMANDOVILLERS GERMAN CEMETERY, from which the grave of one R.A.F. officer was brought. 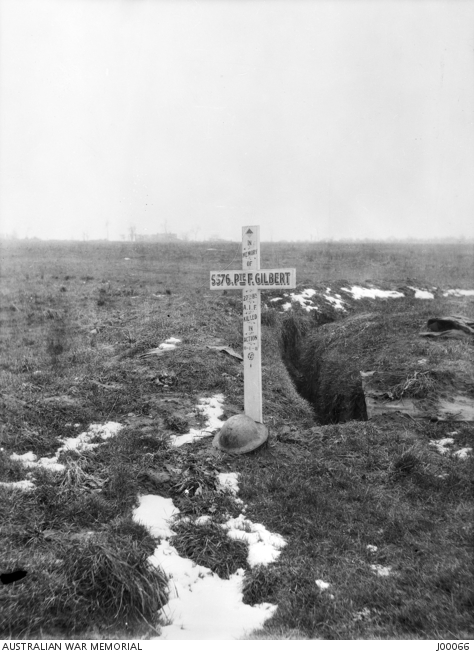 The earliest date of death is September 1915, the latest October 1918, but the majority died in March or August 1918. There are now 1,860 Commonwealth servicemen of the First World War buried or commemorated in this cemetery. 369 of the burials are unidentified but there are special memorials to 26 casualties known or believed to be buried among them. Other special memorials record the names of 21 casualties buried in other cemeteries, whose graves could not be found. 16595 Private Thomas Hugh Milne, 9th Bn. King's Own (Royal Lancaster Regiment), 14th October 1915. 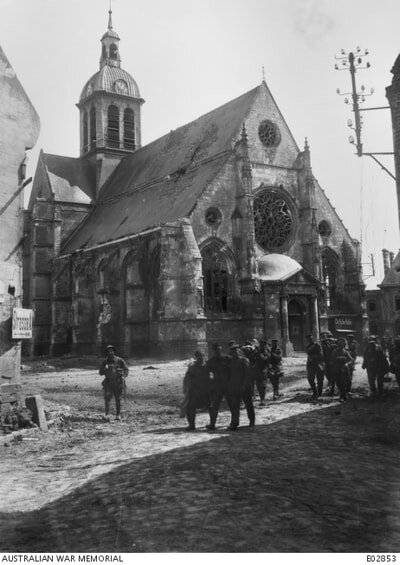 View of the church at Harbonnieres combined with the same view of Australian wounded and German prisoners taken on 9th August 1918. 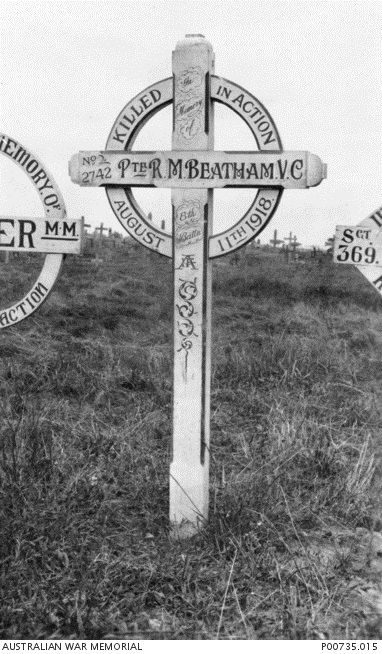 2742 Private Robert Matthew Beatham, V. C.
8th Bn. 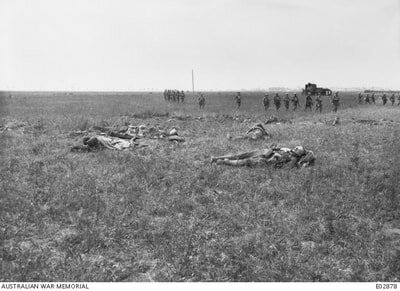 Australian Infantry, killed in action, 11th August 1918, aged 24. Plot VII. J. 13. Son of Elizabeth Beatham, of Glassonby, Kirkoswald, Cumberland, England, and the late John Beatham. Citation: An extract from "The London Gazette" dated 13th Dec., 1918, records the following:- "For most conspicuous bravery and self-sacrifice during the attack north of Rosieres, east of Amiens, on 9th Aug., 1918. When the advance was held up by heavy machine gun fire, Pte. Beatham dashed forward, and, assisted by one man, bombed and fought the crews of four enemy machine guns, killing ten of them and capturing ten others, thus facilitating the advance and saving many casualties. 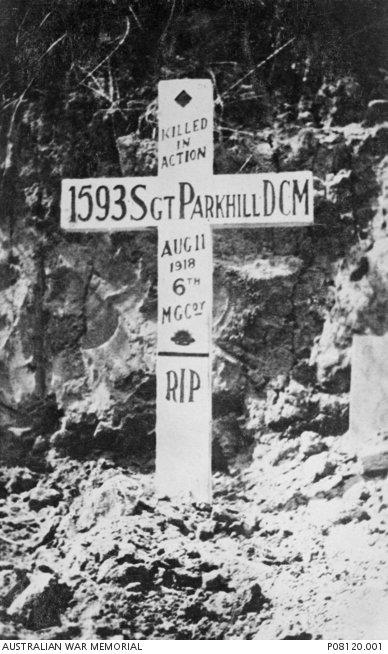 When the final objective was reached, although previously wounded, he again dashed forward and bombed a machine gun, being riddled with bullets and killed in doing so. The valour displayed by this gallant soldier inspired all ranks in a wonderful manner." 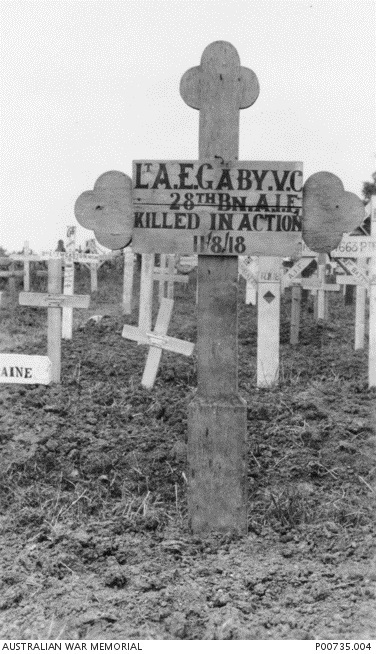 Lieutenant Alfred Edward Gaby, V. C.
28th Bn. 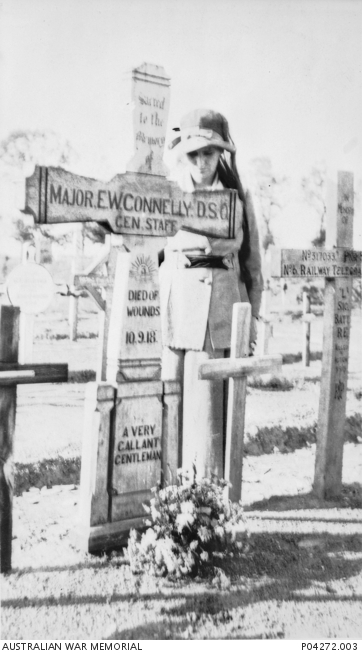 Australian Infantry, killed in action 11th August 1918, aged 26. Plot V. E. 14. Son of Alfred Athelstane Gaby and Adelaide Gaby. Born at Scottsdale, Tasmania. 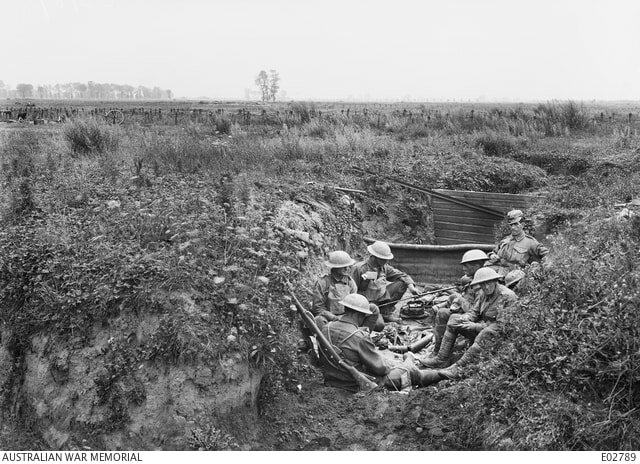 Citation: An extract from "The London Gazette, dated 29th Oct., 1918, records the following:-" For most conspicuous bravery and dash in attack, when, on reaching the wire in front of an enemy trench, strong opposition was encountered. The advance was at once checked, the enemy being in force about forty yards beyond the wire, and commanding the gap with machine guns and rifles. Lt. Gaby found another gap in the wire, and, single-handed, approached the strong point while machine guns and rifles were still being fired from it. Running along the parapet, still alone, and at point-blank range, he emptied his revolver into the garrison, drove the crews from their guns, and compelled the surrender of fifty of the enemy with four machine guns. He then quickly re-organised his men and led them on to his final objective, which he captured and consolidated. Three days later, during an attack, this officer again led his company with great dash to the objective. The enemy brought heavy rifle and machine-gun fire to bear upon the line, but in the face of this heavy fire Lt. Gaby walked along his line of posts, encouraging his men to quickly consolidate. While engaged on this duty he was killed by an enemy sniper." Original graves at Heath Cemetery, Harbonnieres. Harbonnieres, France. 1918. 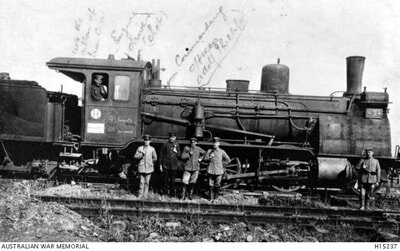 The heavy German Army railway gun captured with its train by the AIF on 8 August 1918. 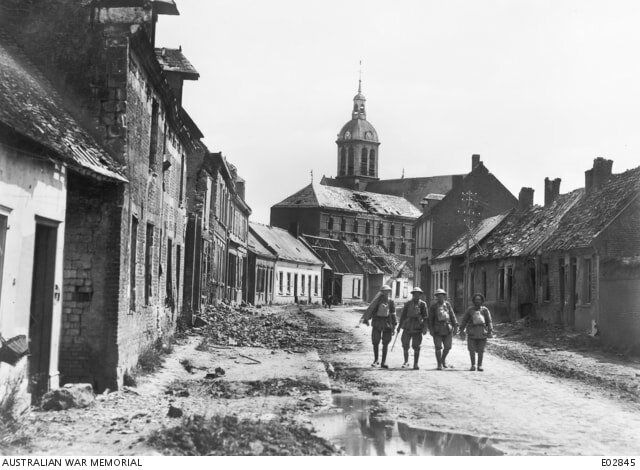 Four stretcher bearers of A Company, 53rd Battalion, 14th Brigade, coming through the village after its capture by the Australian troop. All the buildings bear signs of war damage. On the left is Lance Corporal Mitchell, MM. See below image for modern view of same location. Modern day view of above location combined with archive image. Rue de Mesmy, Harbonnieres. 8th August 1918; A Machine Gun Section of the 15th Australian Infantry Brigade at their final objective just behind the front line near Harbonnieres. The men are all unidentified. 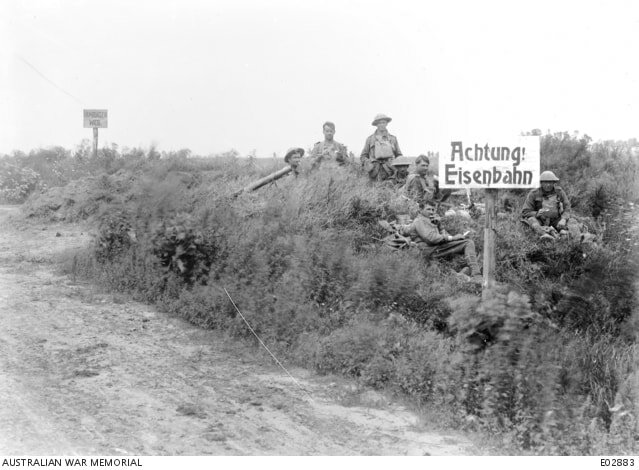 Note the German sign (foreground) which reads: 'Achtung Eisenbahn' (Attention railway) and in the background 'Hamburgerweg' (Hamburg Way).